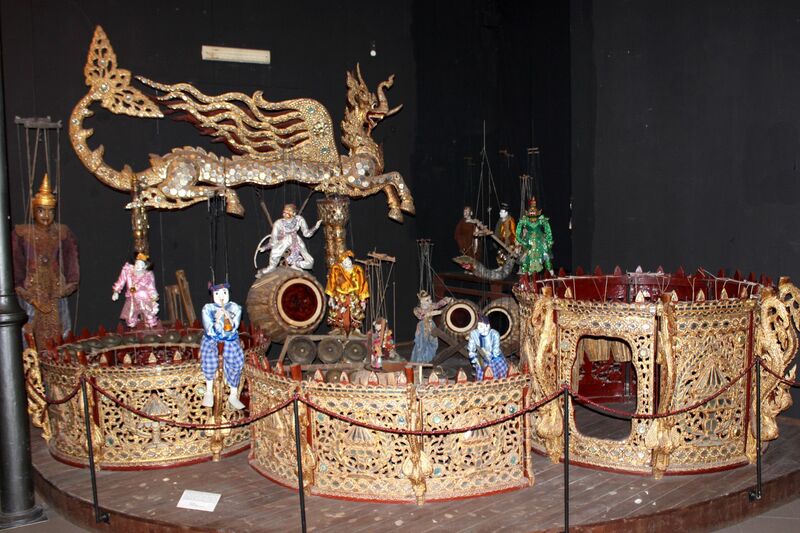 Founded in 1975 by Antonio Pasqualino, museum with more than 3,500 Sicilian marionettes and puppets from all over the world houses the Forgotten World of Fantasy …. 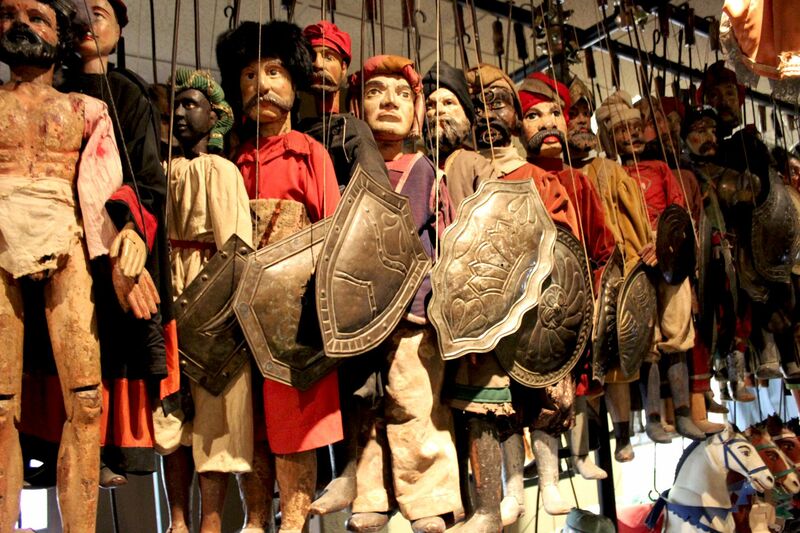 Palermo’s Museum of Puppets was founded in 1975 by Antonio Pasqualino – an anthropologist devoted to keep alive the colorful world of fantasy of Sicilian marionettes. 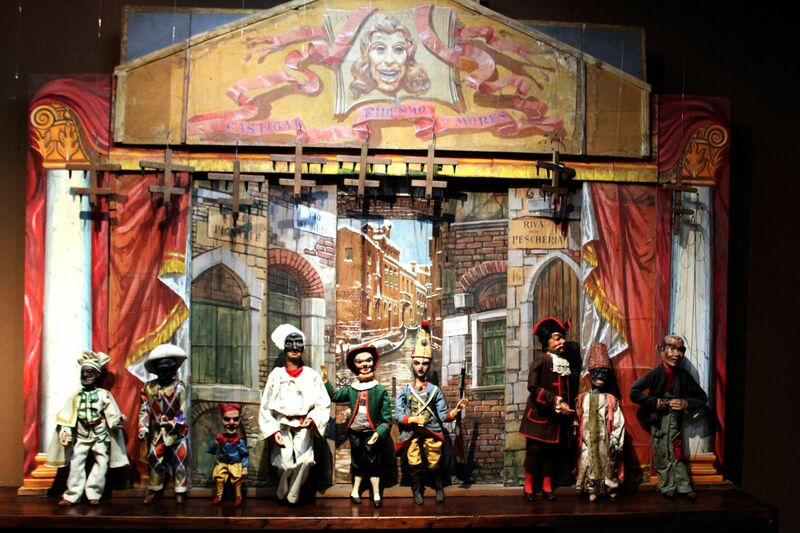 For centuries the Teatro dei Pupi (Opera dei Pupi) was a favorite Sicilian folk art. 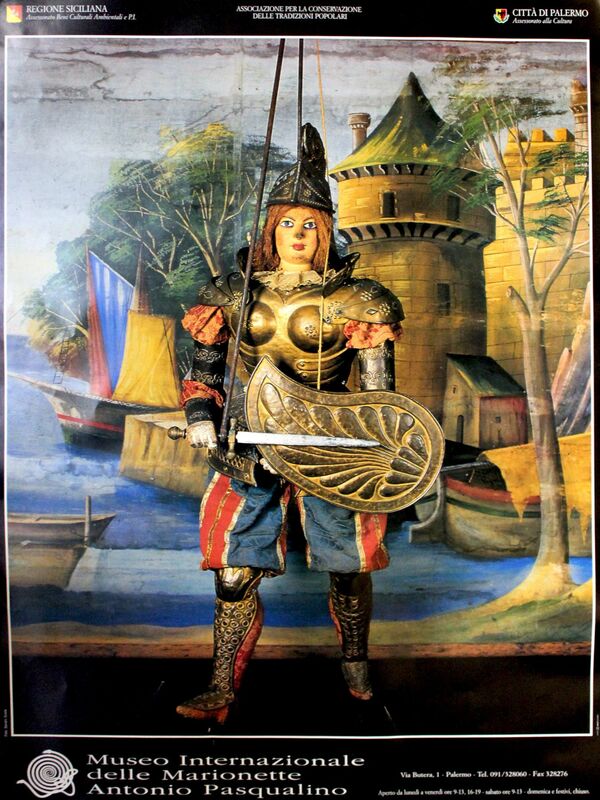 It was feeding imagination of all generations by bringing to life the tales reflecting the rich historical past. 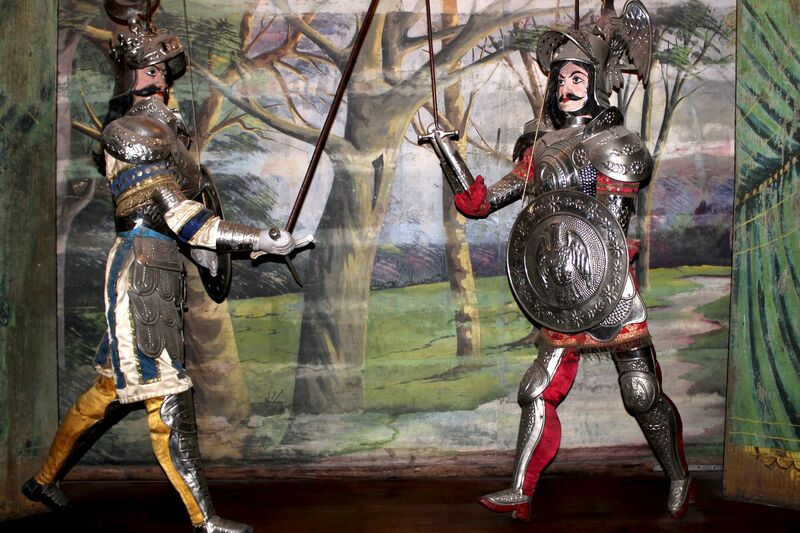 The stories from times of Saracens, Crusaders, legends inspired by Norman’s epic Song of Roland, sagas revealing bravery of Medieval Knights, pirates, fictitious creatures from the world of dragons as well as stories of love and intrigues from royal courts were great material for Sicilian puppeteers. 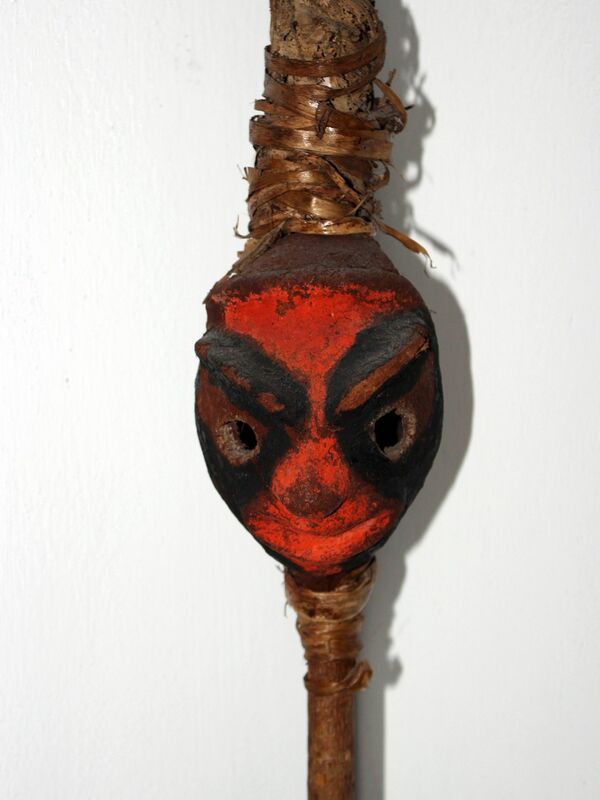 Magic shapes, vibrant colors and captivating stories “spiced” with great amount of humor, mixed with wisdom learned throughout millennia of flourishing civilizations became deeply rooted in folk tradition. Today, the glory days of this fascinating world is long gone. 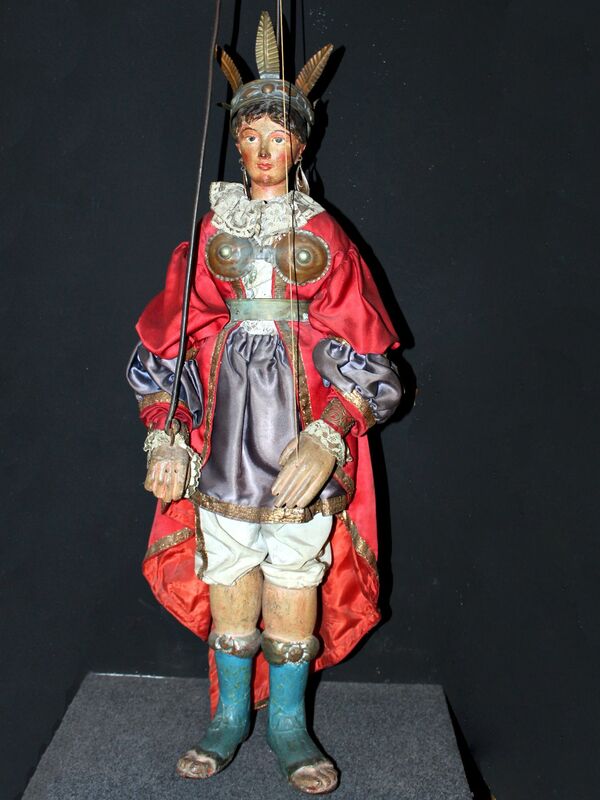 Overtaken by modern era entertainment business ($$$) and largely forgotten, thanks to the efforts of the Association of Preservation of Folk Traditions, marionettes found its home in the Museo delle Marionette “Pasqualino” located in the former Hotel de France next to the Piazza Marina. 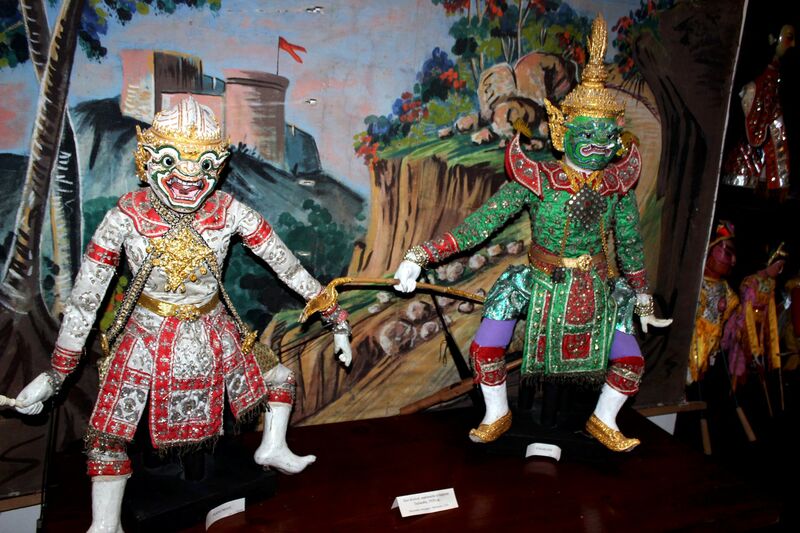 The museum holds the large collection of more than 3,500 puppets and shadow puppets from all over the world including exotic ones from Eastern Asia (Japan, Thailand, Burma, Vietnam, China, Indonesia…), Africa (Mali, Nigeria….) 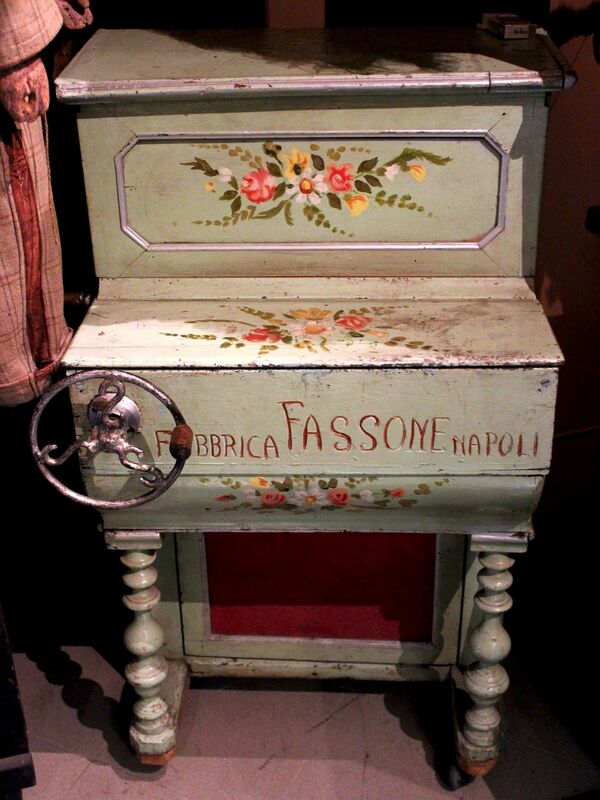 as well as Europe (Italy, France, Poland…). 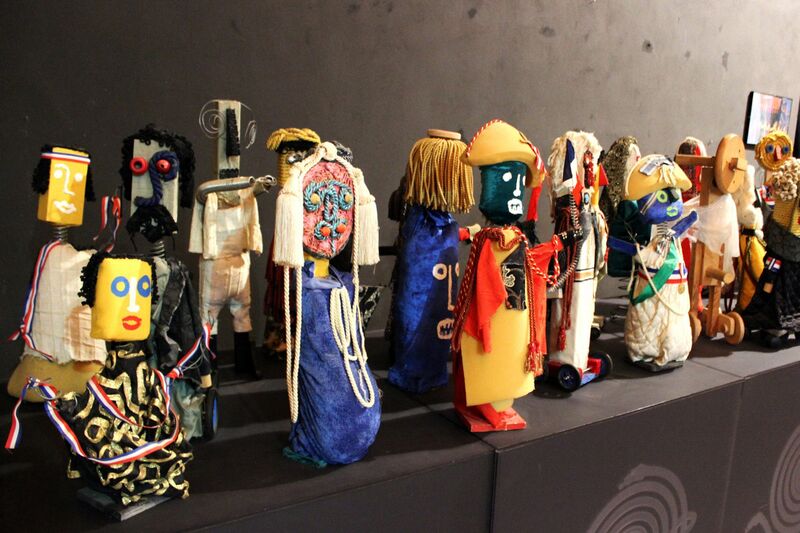 Made by folk craftsmen in forms exaggerating human characters, brightly painted, marionettes themselves are pieces of art combining reality with old folk traditions and spiced with free-flying imagination…. 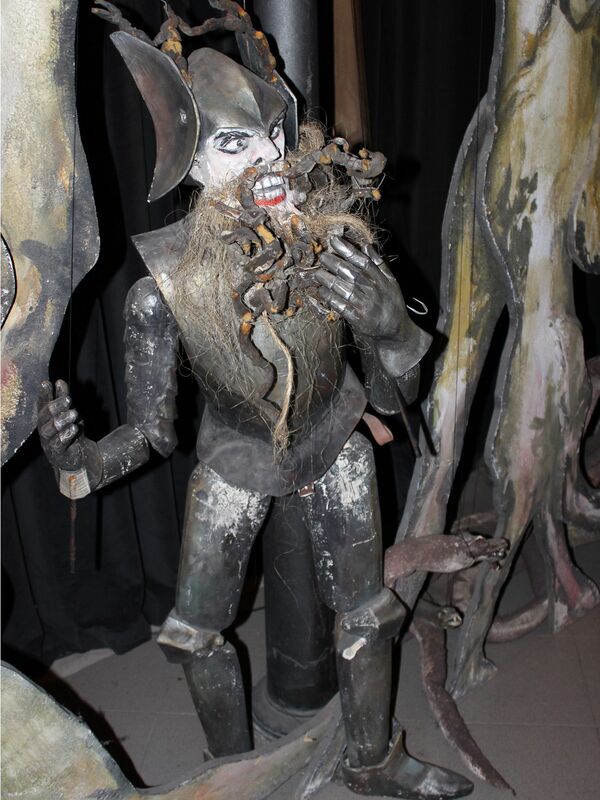 Collection also includes puppet’s theater fixtures and common material necessary for staging shows. 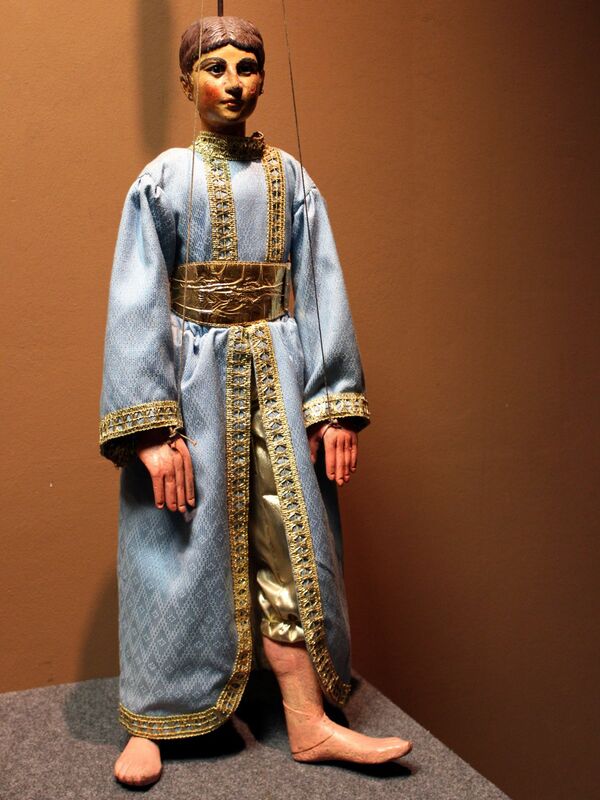 Marionettes from the Opera "Blank, Bleu, Rouge et le Noir"
Housed on the premises Joseph Leggio Library includes numerous texts of folk traditions that throughout centuries inspired authors of Opera dei Pupi. 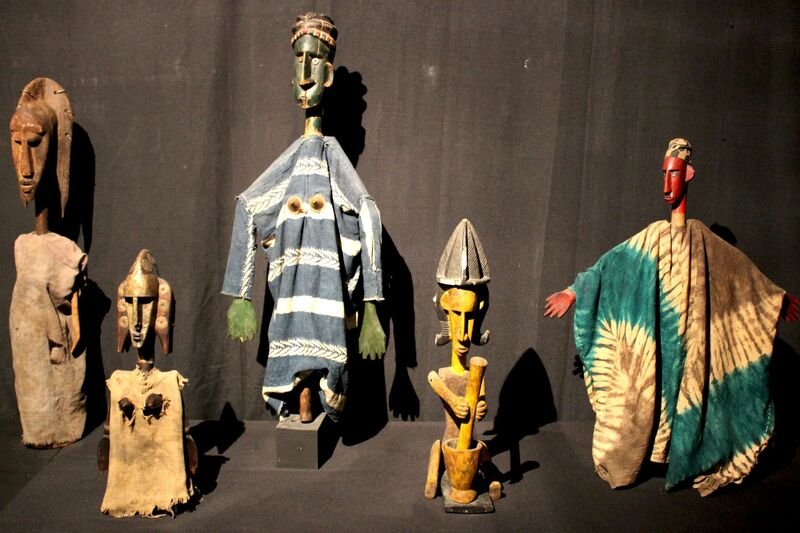 The museum also houses large exhibition hall where live theatrical presentation of Puppets Shows take place. 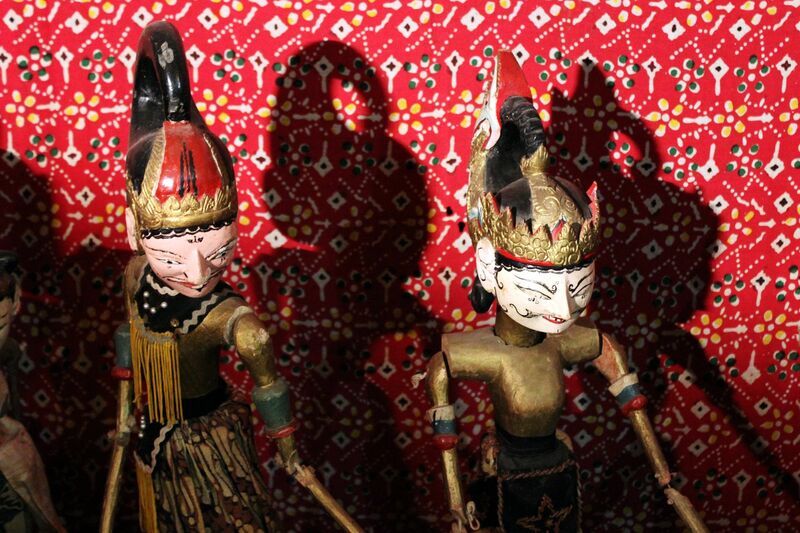 It also provides educational materials in bookshop and video library - the base for promotion of traditional puppet shows, seminars and demonstration of maneuvering techniques for students…. 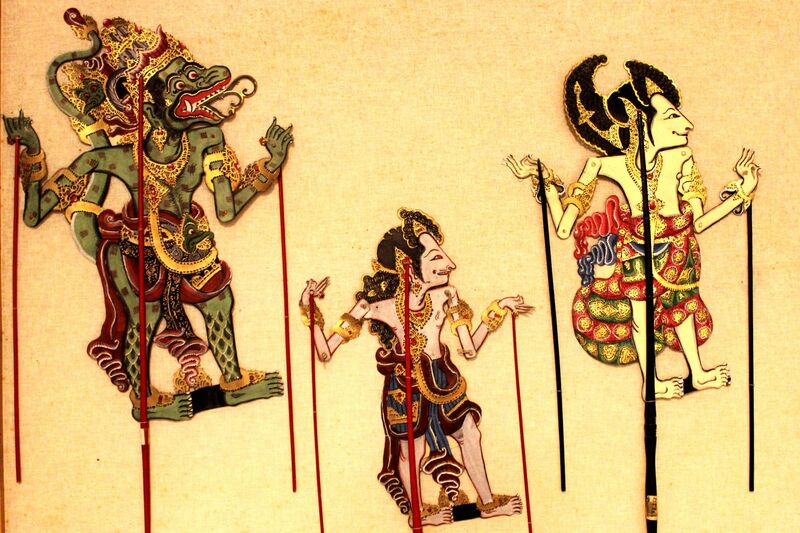 Thankfully, this mysterious world of fairy-tales is coming back - may be not to life, but at least to the “surface”. 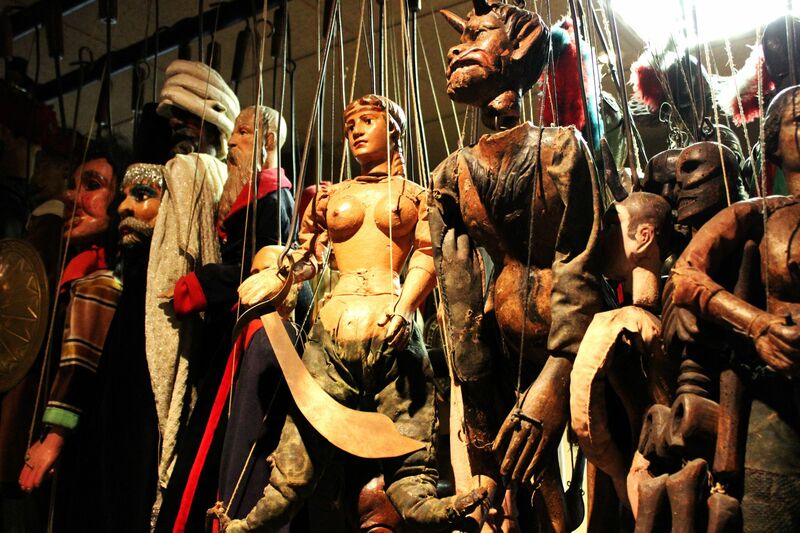 For example the Festival of Morgana each year brings to Palermo theatrical puppet shows and exhibitions from all continents. 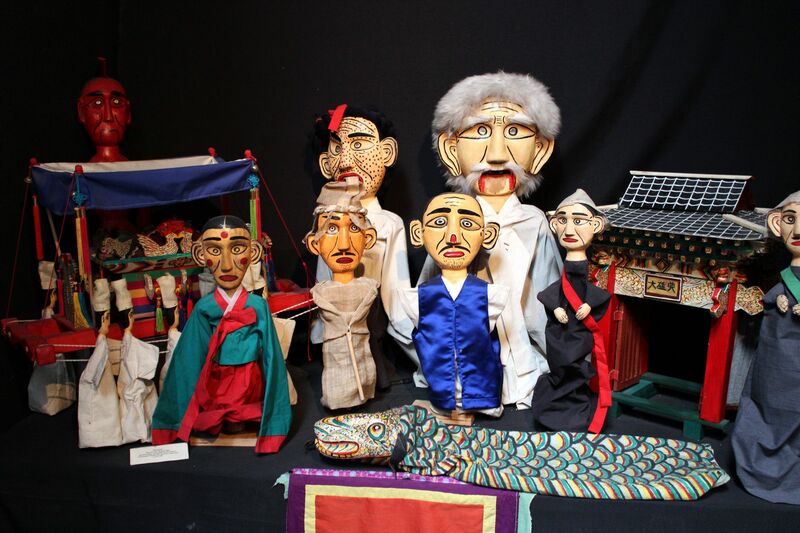 Also, throughout the year weekly puppet shows are staged in Museum’s theater (clearly there is no better ambiance for such performance than on the museum premises). 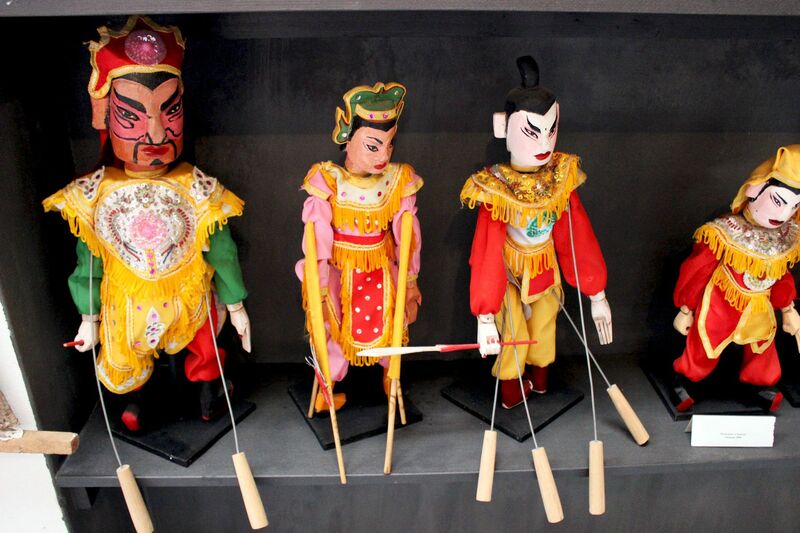 Recently, in recognition of its achievements, UNESCO added the Sicilian Puppet Theater to the list of Masterpieces of the Oral and Intangible Heritage of Humanity. 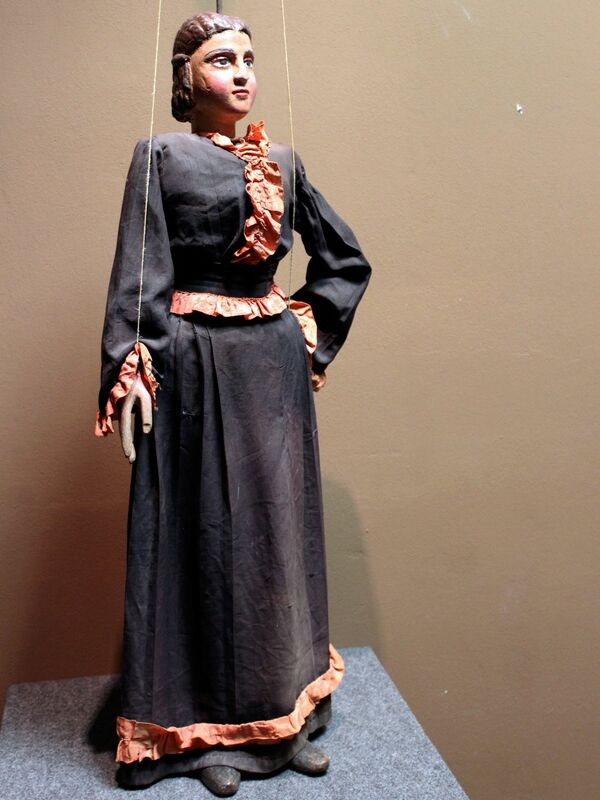 Unfortunately most descriptions are only in Italian so for most of us it is difficult to get deeper into the fascinating history of the Puppet’s World. 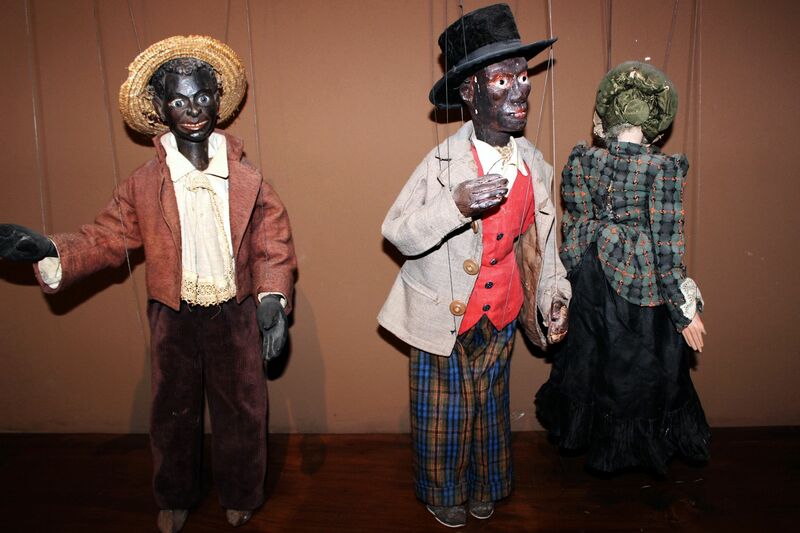 Fortunately the puppets are overwhelmingly speaking for themselves…..